Celebrate Special Events with Thirty Seven West! 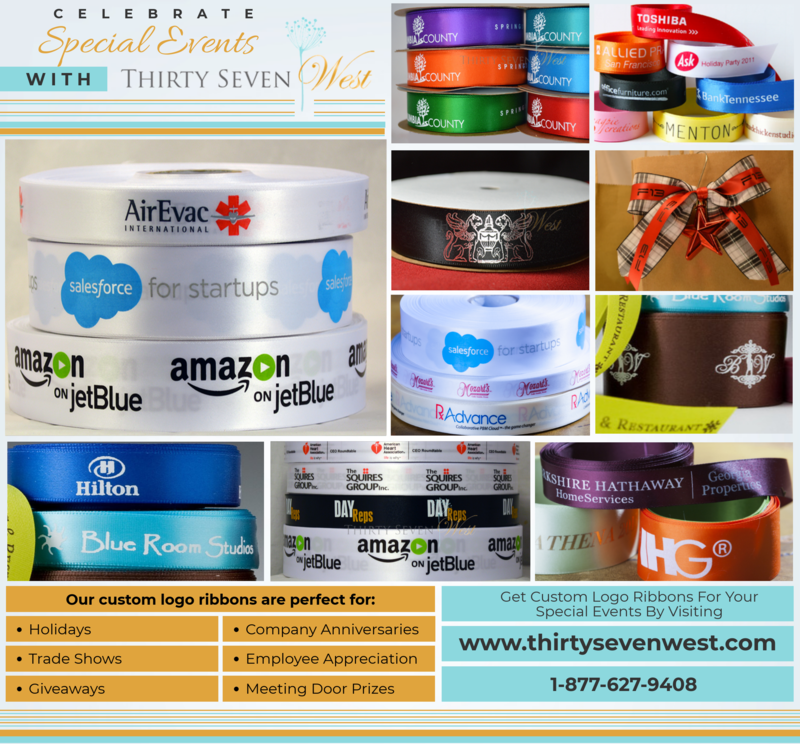 - ThirtySevenWest ThirtySevenWest - Creative ideas about personalized custom ribbons, woven tags and labels, personalized gifts and more!!! This entry was posted on Tuesday, February 20th, 2018 at 6:01 am by Brandon	and is filed under Logo Ribbon. You can follow any responses to this entry through the RSS 2.0 feed. Both comments and pings are currently closed.